Eleaf iStick Pico Resin with MELO 4 Limited Edtion features all-new reimagined Net and Multihole coil systems, presenting an unprecedented vaping experience with ultra flavorful taste and huge clouds. A durable resin encasement of light weight and comfortable texture, and its elegant honeycomb looking makes it stand out from others. 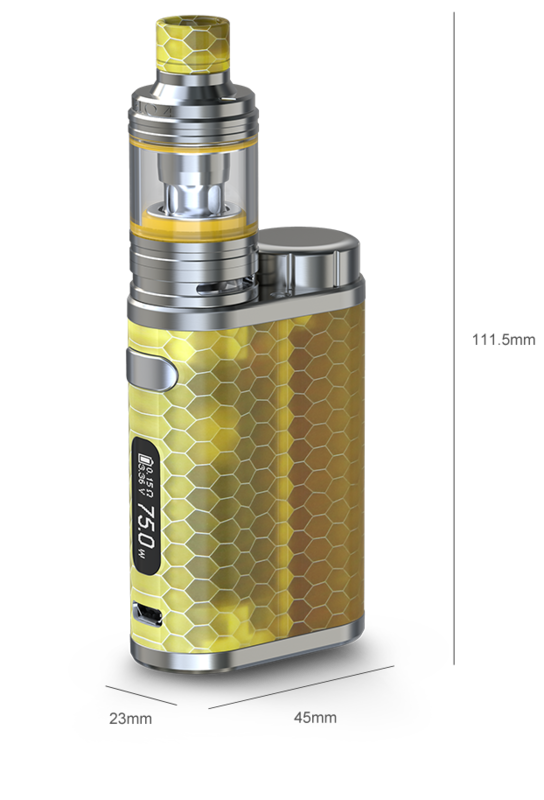 Powered by single interchangeable 18650 cell, the iStick Pico Resin provides you with 75W maximum output and upgradeable firmware. With retractable top fill solution and resin style mouthpiece, the MELO 4 atomizer fits this new iStick Pico RESIN perfectly in terms of both looking and performance. 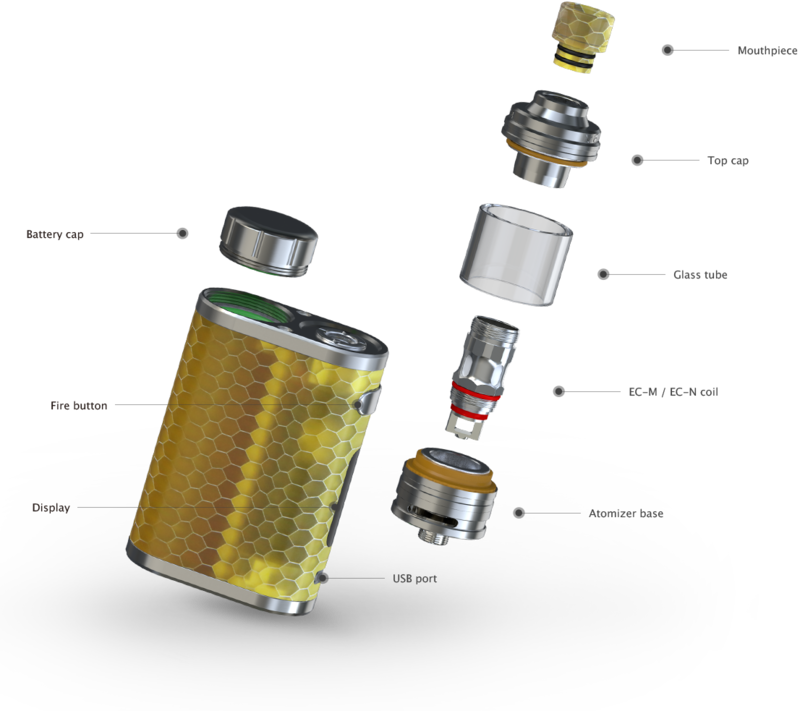 The new iStick Pico Resin with MELO 4 utilizes new EC-N (Net) and EC-M (Multihole) coils to give you an unprecedented vaping experience. Having a net or a multihole structure, both EC-N and EC-M coils are heated more quickly and evenly than normal coils, presenting an intense and flavorful taste.